The opening game of the round saw Fitzroy take on Carlton as the top two sides in the league did battle for supremacy. 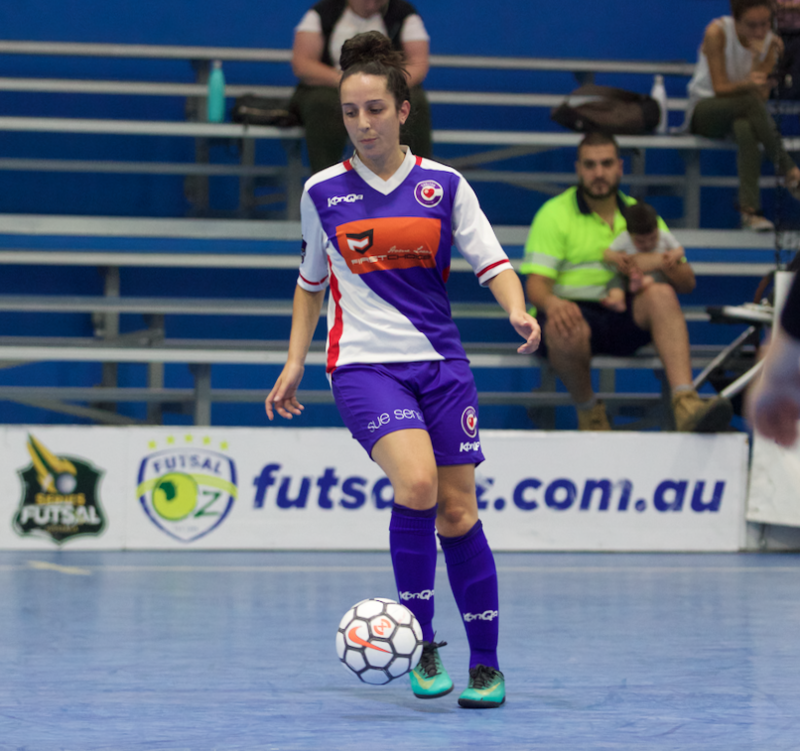 It was Fitzroy who took the lead early as Dharma Georgi fired home from close range, but Carlton hit back soon after through Abir Rajab as she brought her side level. Stephanie Peluso then found the net from a tight angle soon after to have the Heart in front, and with under a minute to the break, Zoe Dupont finished a one on one chance to have Carlton leading by two at the break. Early in the second half the Heart extended their advantage as stopper Rebecca Davies hit a rocket from beyond half way home to have the Heart all but home and dry. Carlton were getting on top and really starting to ice the game and when Peluso struck twice more to complete her hat trick it was only a case of how many. Peluso found the net twice more to take her tally to five for the game as Carlton were out to an 8-1 lead. Peluso then turned provider as she set up Laila Abdullatif to fire home and extend the Carlton advantage. 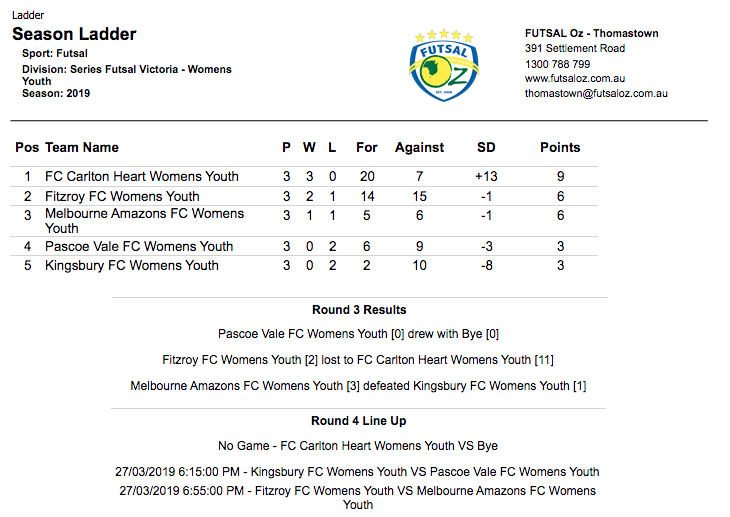 Fitzroy got a goal back through Alexandra Morales-Alonso, But Carlton only continued adding the goals as Izzy Swift got herself two quick goals for an 11-2 lead and that is how it ended as Carlton took top spot in the league. 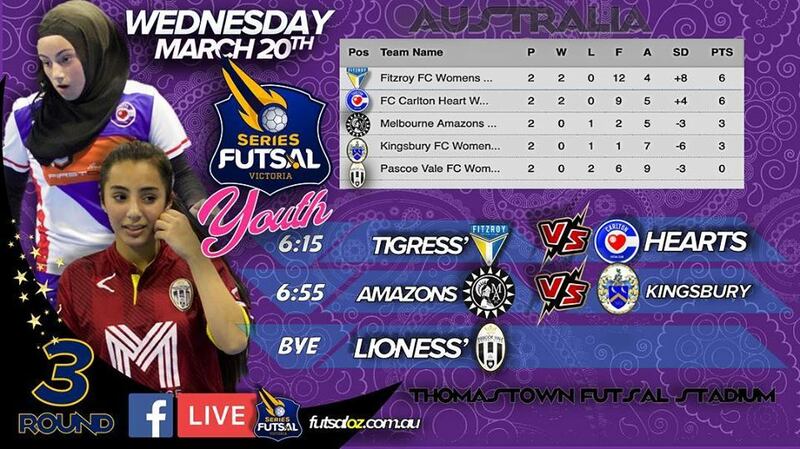 Next up saw Melbourne Amazons take on Kingsbury as both sides were searching for a win. It was the Amazons who struck first as Rachel Grove found the net to give them a slender one goal lead at the break. 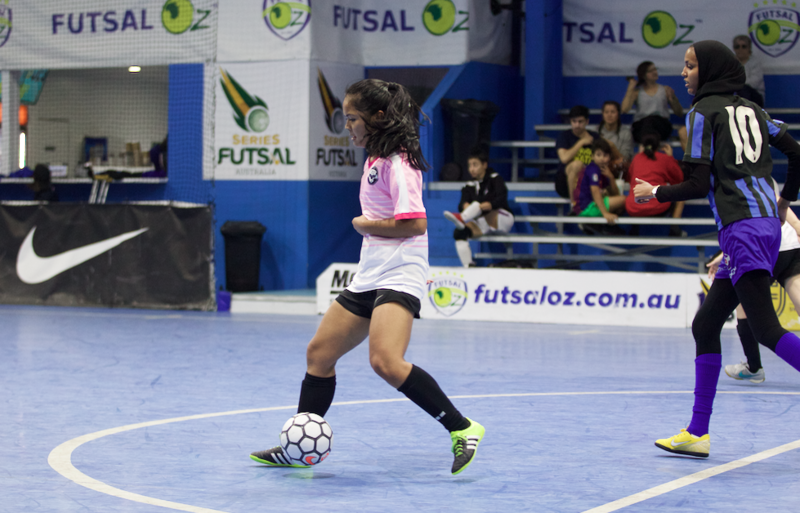 The second half followed the same trend as neither side was having too many chanes to score, but Amazons doubled their advantage as Mariella Bagang found the net to give her side a two goal cushion. Kingsburg puled a goal back through Ali to remain in the contest, but a goal from Amar Ayache late on sealed the win for the Amazons as they push into third place on the table.